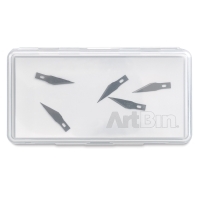 A great way to safely store and transport cutting knives and replacement blades, this translucent storage box has a magnetic insert affixed to the inside bottom that holds metal items securely in place. The ArtBin Slim Line Magnetic Blade Storage Box is molded from an acrylic polymer that is virtually indestructible. 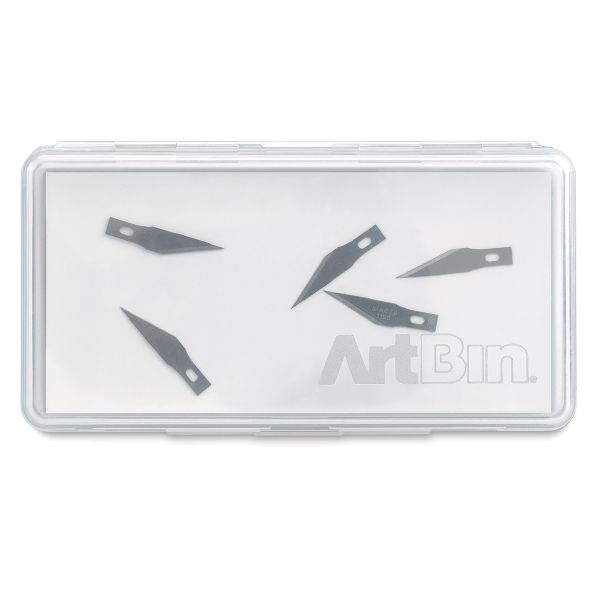 Its slim design makes it a great accessory for tucking into storage boxes, portfolios, totes, and backpacks. It measures 3½" wide × 7" long. 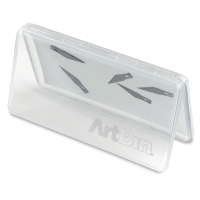 ® ArtBin is a registered trademark of the Flambeau Products Corporation.™ Slim Line is a trademark.